If you or someone you care about has been the victim of the any personal injury arising from an inherently unsafe product, or one that fails to warn of hazards or something that suffers from a major design faults, then do not hesitate to get in touch with a good personal injury attorney. The US Consumer Product Safety Commission or the USCPSC has ordered the recall of over 3,600 units of its Contours Options three and four-wheeled baby strollers from Kolcraft Enterprises Inc.
Several reports received by the company have showed that the hinge mechanism on these strollers maybe inherently unsafe. Three children have had their fingers amputated while several adults have had their fingers smashed or severely lacerated. All injuries appear to have been caused by the gap formed by the locking system which controls the height adjustments for the handlebars. The following units, which the company estimates to have been sold from January 2006 to November 2009, are hereby recalled: ZL002, ZL008 and ZL005 as well as the ZL015 and ZL018. Users are likewise enjoined not to use the products and to contact the manufacturers for a free repair kit. The recalled products have been made in China and sold through Amazon.com, ToysRUs.com and Target.com. In cases of doubt, Kolcraft has instructed its customers to refer to the model number and manufacturing date that is printed on the sticker near the left wheel or sewn behind the padding of the stroller seats. These three or four-wheeled strollers join the growing list of Kolcraft Enterprises product recalls made this year which include bassinets, infant car seats, toy walkers and play yards. If you or someone you care about has been the victim of the any personal injury arising from an inherently unsafe product, or one that fails to warn of hazards or something that suffers from a major design faults, then do not hesitate to get in touch with a good product liability lawyer. 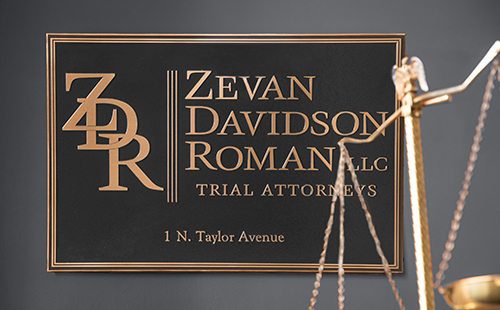 If you feel that you or someone you love has been hurt by a defective product, contact the St. Louis product liability lawyers at the Zevan and Davidson Law Firm today. Schedule a free consultation by calling (314) 588-7200.